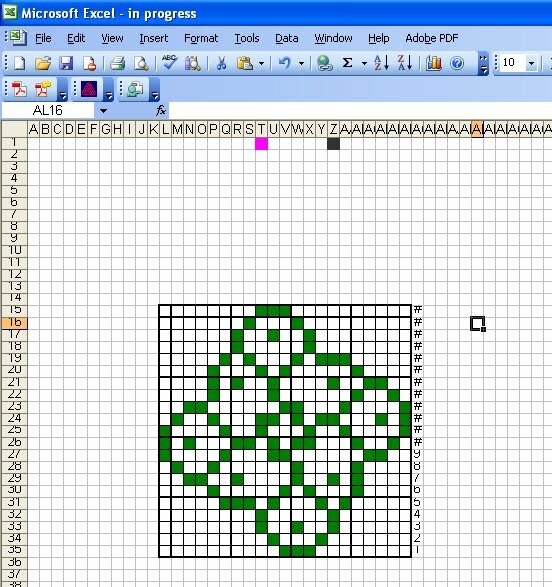 Welcome to the second article on how to make a knitting chart in Excel. 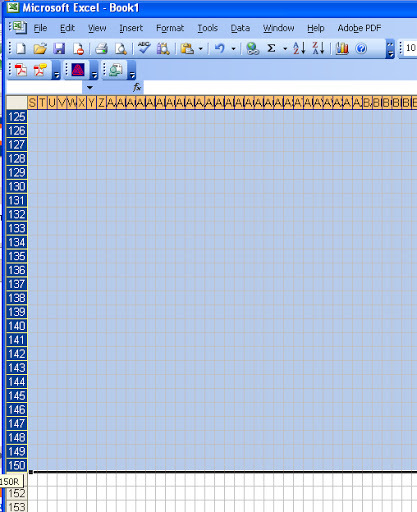 Part 1 looked at setting up the spreadsheet so you would have a working grid. Now that you're set up and ready to go, this article will take you through the drawing process. Part 3 will give instructions on how to save and share your chart with the world. Remember: to see a larger version of each screen shot click on the thumbnail. 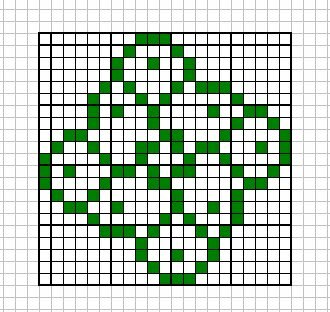 The knitting chart you created in Part 1. The formatting toolbar may already be part of the toolbar you can see already. The buttons that will be most useful for your chart design are found on the default right hand side of the toolbar. 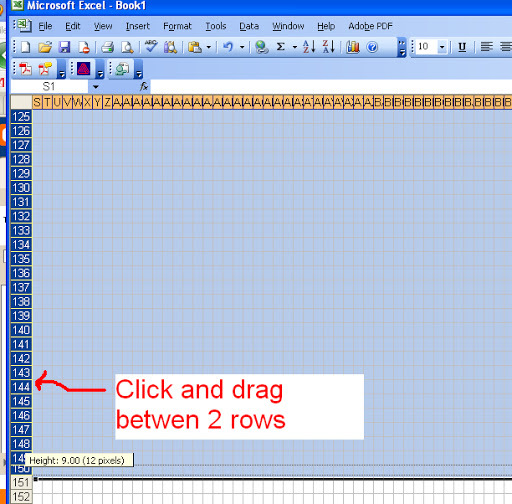 There are two parts of the toolbar that you need to draw your chart. "Fill Color" and "Borders". 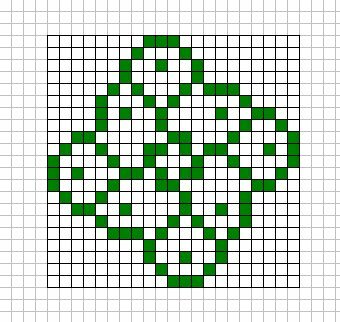 If you plan on making a lace chart (not covered in this How To Article) you will need to find what symbols correspond to K2tog etc instead of Colors. 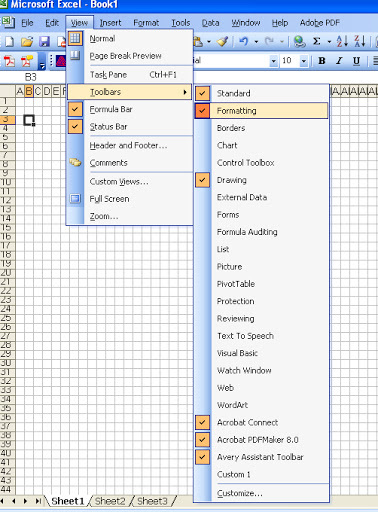 Borders will help you provide a grid that is visible when you print your chart. 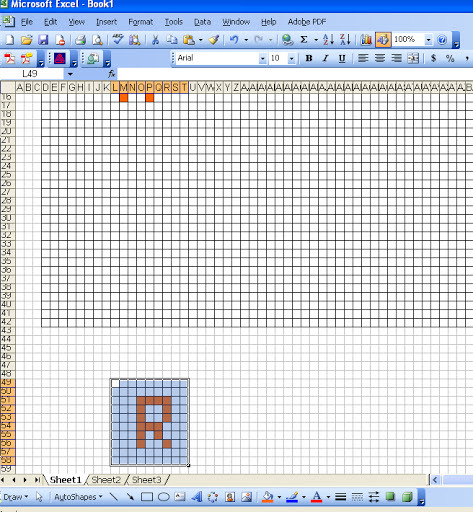 Although you can currently see a grid, if you try looking at your work with "Print Preview" this grid is invisible. Choosing your color Pallet. 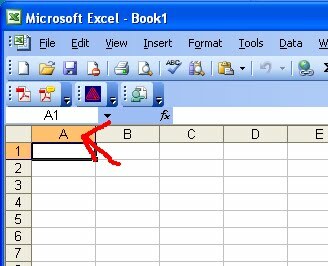 By reading the above formatting toolbar section, you should know how to find the Borders Toolbar. 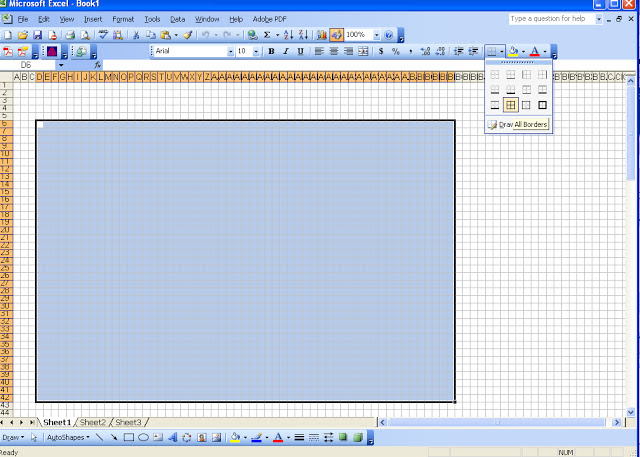 We will start my making a grid the that should be large enough to accommodate our project. Select (highlight) the region you would like to make a grid with. Now it's time to choose your color pallet using the "Fill Color" Button off of the toolbar. When drawing your chart, you could highlight each grid field you would like to change color, then go to fill color and select the color you want. This would quickly become tedious. I prefer to make a mini color pallet in the corner of my workspace, and use Copy and Paste to make my chart. See the mini color pallet in the top right section of the grid with 4 colors. Now you can copy and paste from these colors, rather than go into the Fill Color menu each time you want to make a color selection. Copy the color you want in you "palette", select a cell, and paste to change the color. Continue until you have drawn the outline or design of your choice. Even with saving your file frequently (I will save each time I pause, but I am neurotic about saving), it is possible to erase your hard work accidentally. 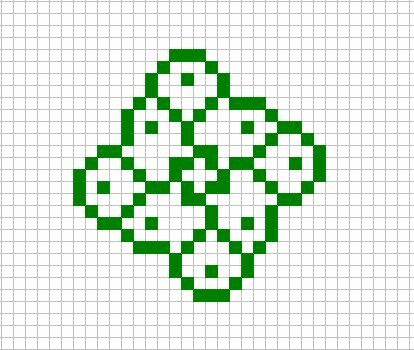 Or it can be hard to undo some modifications you made to your chart, and you would like to go back to a previous version. 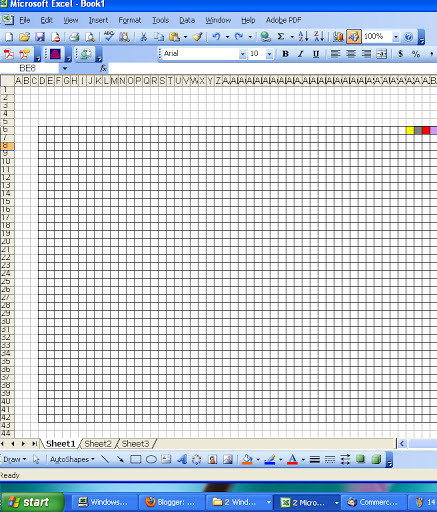 I like to save my in progress charts by copying them to a lower area of the same excel document. 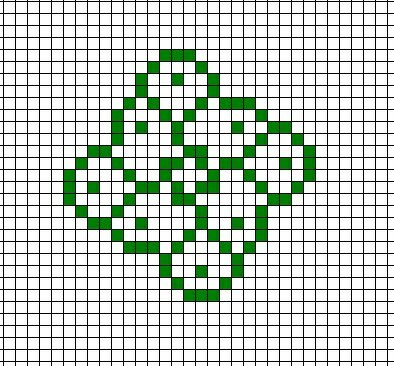 If you copy the chart (in rows 11-16) and paste it below the work-in-progress grid (I pasted at rows 49-58), then you have a copy you can work on, but a previous version saved below. This way, if you become unhappy with your progress and would like to go back to an earlier version, you can! 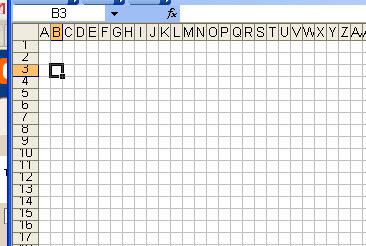 Using the borders toolbar (see Part 2 for how to locate this toolbar) you can clean up your chart so the grid is only pronounced around your chart. 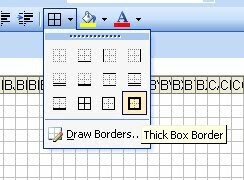 The borders toolbar from the Formatting toolbar. 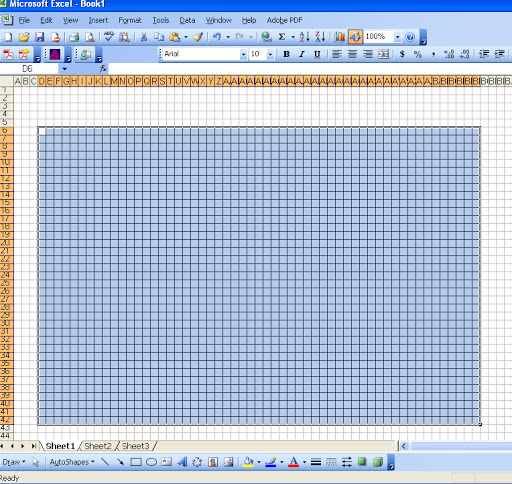 Comparison of charts with an "unclean" grid , no grid and a grid only around the chart itself. 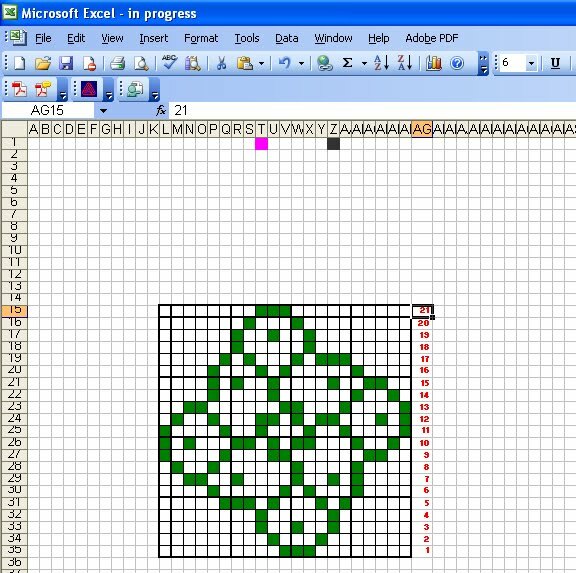 The example chart is 21x21 stitches. To make it easier for the reader, I sometimes choose to use the "Thick Box Border" to mark every 5 or 10 stitches. This can reduce counting. The "Thick Box Border" button (left) and what a chart would look like after adding the thicker grid every 5 sts (right). These thick borders are more helpful and obvious if there is a lot of background in your chart. 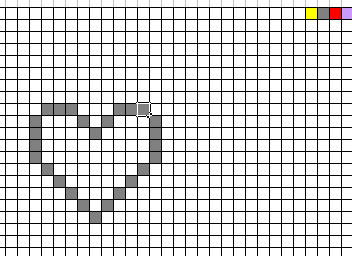 If you have been following my instructions for making the grid then the default font size (10) will be too large for our grid, in both height and width. 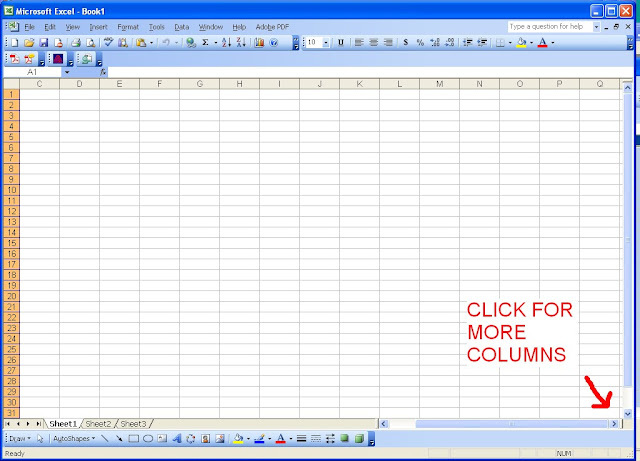 Change the font size to 6 and widen the column so you can see double digit numbers. I also like to make the numbers bold and a contrasting (non-black) color. Numbers too small (left) and adjusted column width for smaller numbers (right). I personally choose a very simple and non-elegant method to bring my chart from excel to a publishable format. The screenshot. There is a button on your keyboard that says PrtSc (print screen) or something similar. 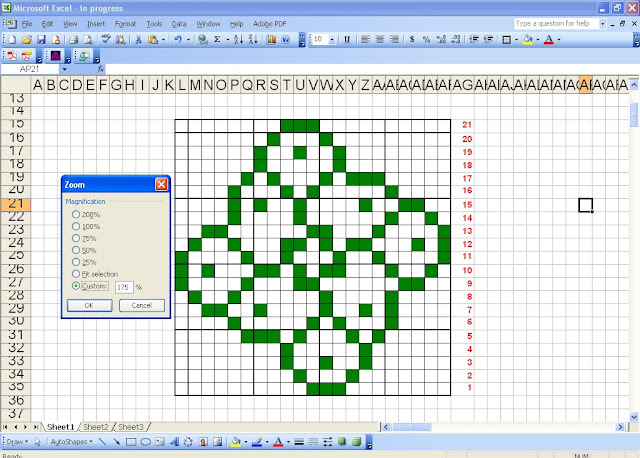 This will capture the image that you see on your screen into your clipboard so you can paste it into another program. Here are some references on how to take a screenshot in Windows or Max OS X. Before taking the screenshot, you want to make your image as large as possible. Go to the View Menu --> Zoom and select a custom value so your chart takes up as much of the screen as possible. If you want to eliminate the background grid completely, you can take the screenshot from the Print Preview screen, but even with the zoom button you may not be able to zoom in as much. After you're happy with you zoomed in image, take a screenshot. 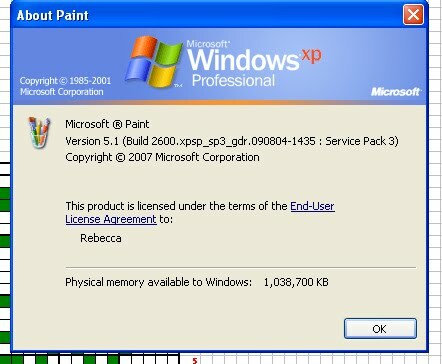 Copy the captured file into Microsoft Paint and save it was a bitmap or jpeg. 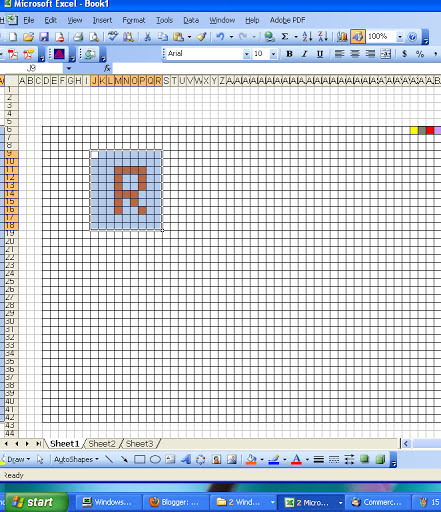 (Bitmap is the default of Paint, and is what I use). Crop the file using your favorite image editing software. I personally use Adobe Photoshop, but there are many free programs available that will let you crop. Upload to your flicker or picasa account, blog or email it to friends.